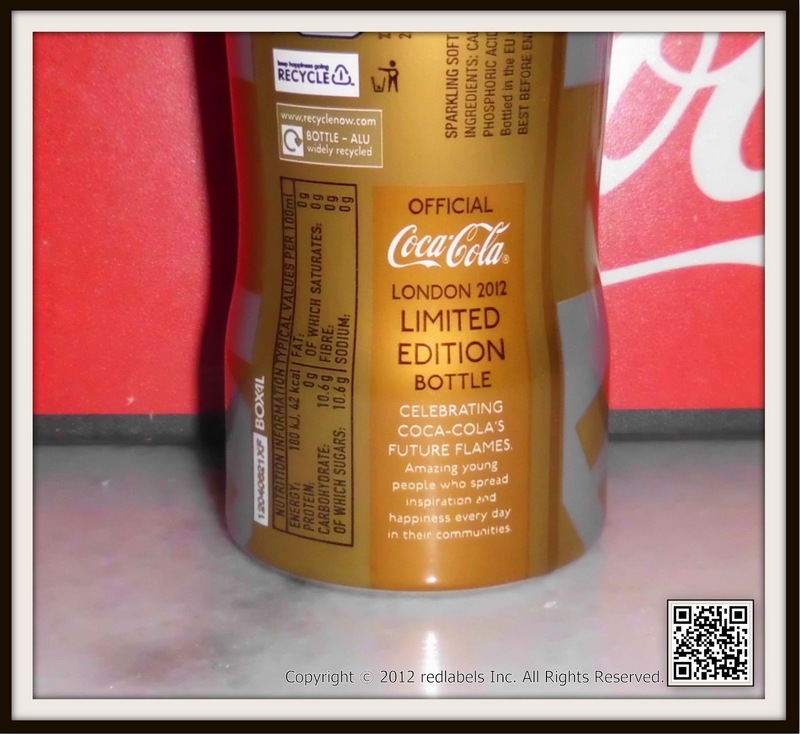 This is limited edition Gold Coca-Cola bottle celebrating the London 2012 Paralympics. on the Olympic park when the Paralympics GB team won a medal. 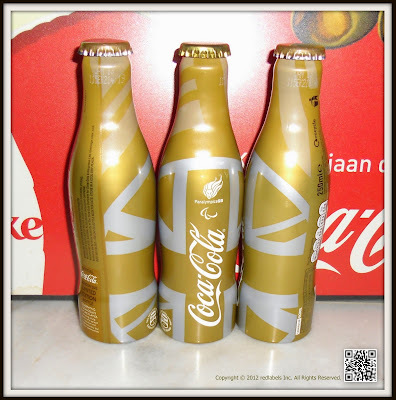 The bottle is gold and decorated in a silver union jack design. 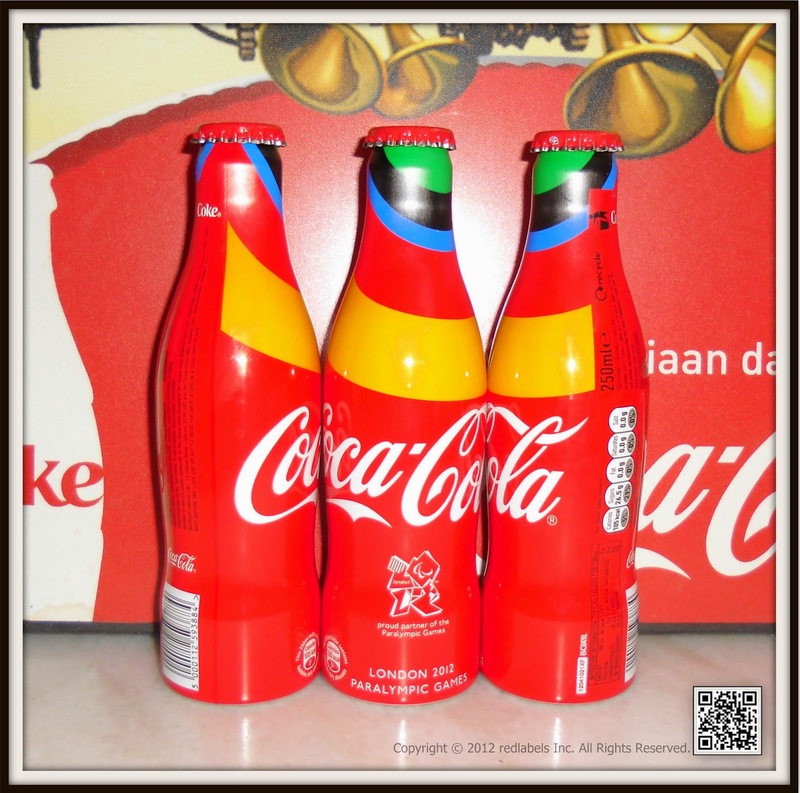 amazing young people who spread inspiration and happiness every day in their communities." 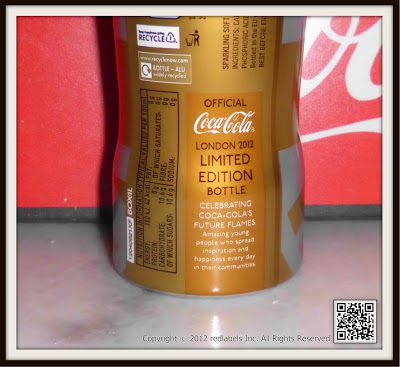 there is no bar-code included in the bottle decoration. 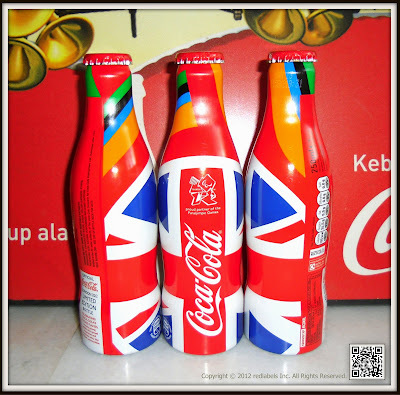 It can't be bought in the shops and only available at the Olympic Park in Stratford, London. 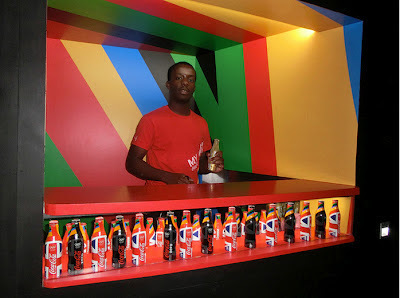 Coca-Cola handed out bottles of Coke & Zero in these aluminum bottles to visitors of their Beatbox Exhibit to toasted their " Future Flames". The bottle is red/black and decorated in a union jack design with a stripe of yellow, blue, black, green and red. 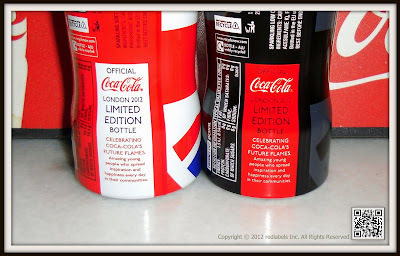 The front of the bottle has the London Paralympics 2012 logo in white and the back has the words "Celebrating Coca-Cola's Future Flames, amazing young people who spread inspiration and happiness every day in their communities." 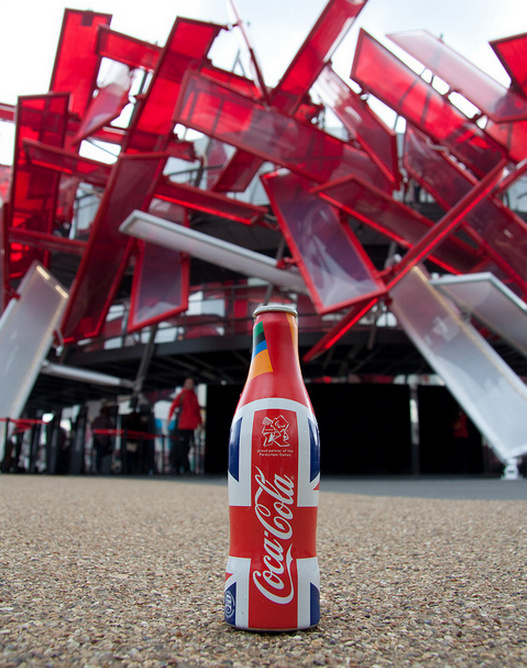 This aluminium Coca-Cola bottle wa only available to those people who attended events at the Olympic Park in London or to athletes in the Olympic Village. 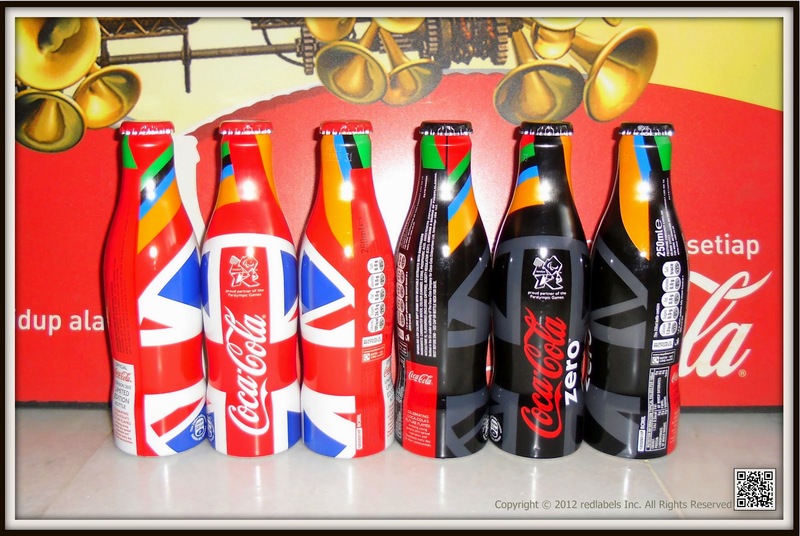 The bottle is rare because they were only given out inside the Coca-Cola Beatbox on the Olympic park when the Olympic GB team won a medal. The front of the bottle has the London Olympics GB Team logo (the lion) in white and and decorated in a silver union jack design.The back has the words "Celebrating Coca-Cola's Future Flames, amazing young people who spread inspiration and happiness every day in their communities." Available exclusively at Sainsburys , Coca-Cola Great Birtain has launched a limited edition Coca-Cola Aluminum Bottle in celebration of the London 2012 Paralympic Games. 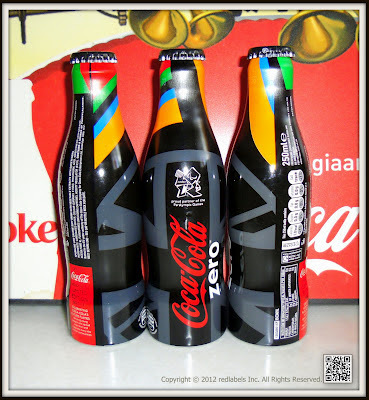 The vibrant red bottle with yellow, blue, and black stripes commemorates Coca-Cola’s partnership with the Paralympics and features a the iconic Paralympic logo and will be available from 29 August in Sainsburys, UK. 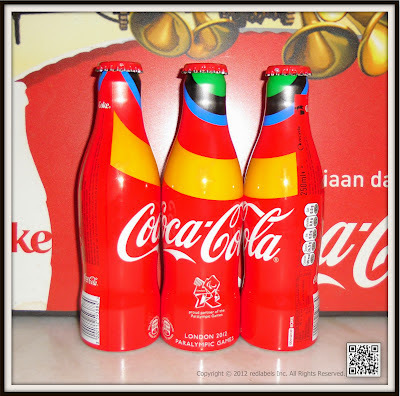 A must for any collector of Coca-Cola bottlers / Paralympic 2012 memorabilia.